Humans may have exited out of Africa and arrived in Southeast Asia 20,000 years earlier than previously thought, a new study involving University of Queensland researchers suggests. Findings from the Macquarie University-led study also suggest humans could have potentially made the crossing to Australia even earlier than the accepted 60,000 to 65,000 years ago. 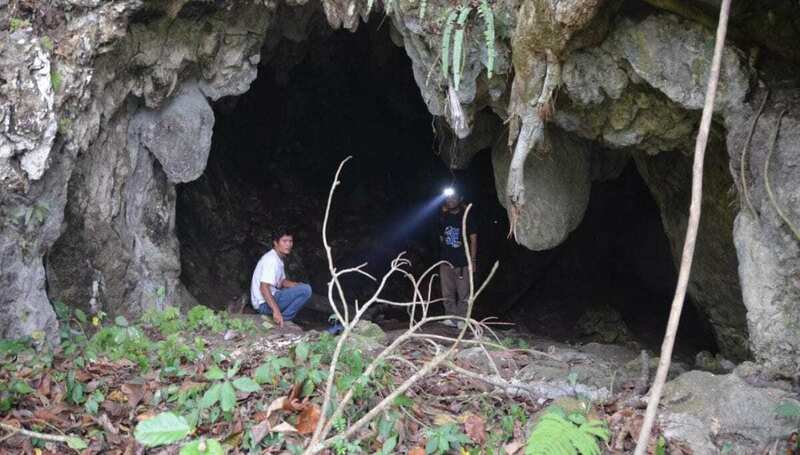 Dr Gilbert Price of UQ School of Earth and Environmental Sciences said the dating of a cave site in West Sumatra, called Lida Ajer, provided first evidence for rainforest use of modern humans. “Rainforests aren’t the easiest place to make a living, especially for a savannah-adapted primate, so it suggests that these people were ahead of the curve in terms of intelligence, planning and technological adaptation,” Dr Price said. He said the study stood on the shoulders of brilliant Dutch paleo-anthropologist Eugene Dubois, famed for his discovery of ‘Java Man’. “He visited a series of caves in Sumatra in the late 1800s, and in one in particular, recovered some human teeth, which is quite interesting in itself, but no one had spent much time trying to determine their significance,” Dr Price said. “Fast forward over 100 years later, both the team of lead author Dr Kira Westaway of Macquarie University and my crew (separately) were lucky enough to re-discover and visit the caves. As a result of thorough documentation of the cave, reanalysis of the specimens, and a new dating program, it was confirmed the teeth were modern humans, Homo sapiens, but dated to as old as 73,000 years ago. A barrage of dating techniques were applied to the sediment around the fossils, to overlying and underlying rock deposits in the cave and to associated mammal teeth, indicating that the deposit and fossils were laid down between 63,000 to 73,000 years ago. “This cave has been shrouded in doubt since it was first excavated,” Dr Westaway said. Advanced equipment at UQ’s Centre for Geoanalytical Mass Spectrometry, a hub backed by researchers from Queensland’s major research institutions, was used in the analysis. “We were lucky to have some of the best dating facilities in the world at our disposal, including the same pieces of equipment at UQ that had earlier dated the famous ‘Hobbit’ fossils of Southeast Asia,” Dr Price said. Dr Westaway said the hardest part was trying to find the site again, with only a sketch of the cave and a rough map from a copy of Dubois’s original field notebook to guide them. Southeast Asia is a key region in the path of human dispersal from Africa round to Australia, as all hominins would have had to pass through this region en route to Australia.